About 400 people die on Indian roads every day! India is notorious for road accidental deaths. 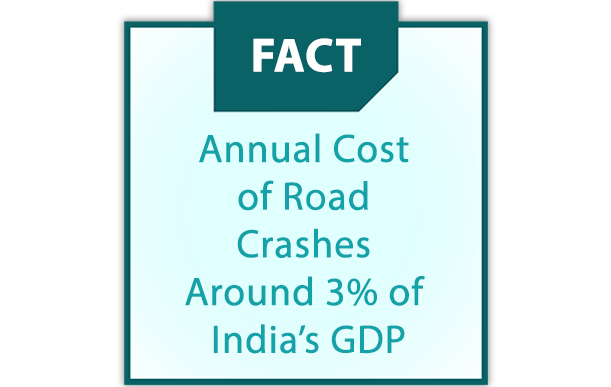 Annual Cost of Road accidents is around 3% of India's GDP. India has an alarming rate of road accidents. The perils of road accidents puts you and your family's security and health at risk. A motor insurance protects you and your family from risks & costs arising from damages to your vehicle as well as life and for third party damage also. A simple fixed premium for a vehicle insurance will negate financial risks that could arise from operating your vehicle. 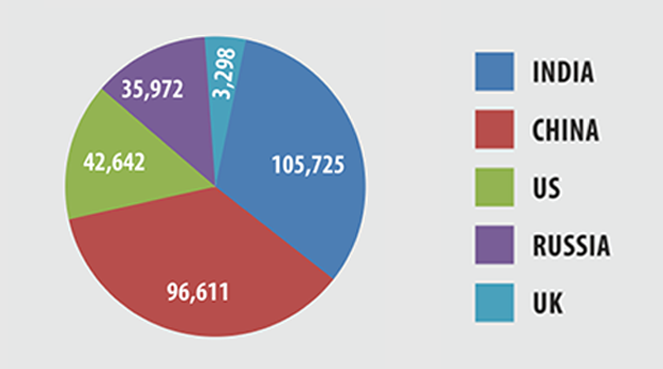 This covers the financial cost of medical treatments of the members that were present in the vehicle during the accident. Accidental death or injury to any third party. Bears the cost of damage to third party property. Provide right valuation of your vehicle.